TamoSoft Throughput Test is a utility for testing the performance of a Wi-Fi connection. 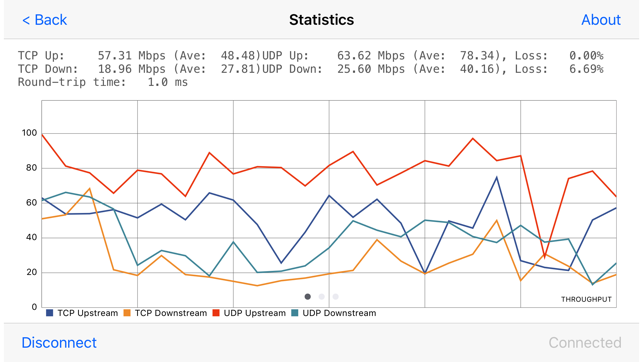 This utility continuously sends TCP and UDP data streams across your network and measures important metrics, such as upload and download throughput values, packet loss, and round-trip (ping) time, and displays the results in both numeric and chart formats. 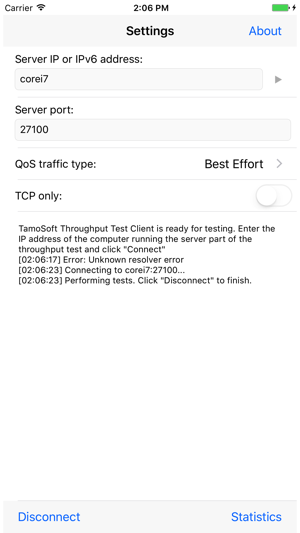 TamoSoft Throughput Test supports both IPv4 and IPv6 connections and allows the user to evaluate network performance depending on the Quality of Service (QoS) settings. To perform a throughput test, the application uses two components: a server and a client. The server part of the application listens for connections from the client, and the client connects to the server. Once the connection has been established, the client and server send data in both directions, and the client part of the application computes and displays the connection speed and diagnostics data. 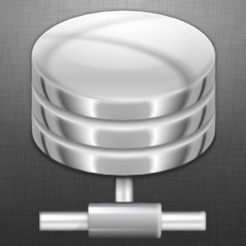 This iOS application is a client; the required server is available from our web site for free and can be installed on any macOS or Windows computer in your network. 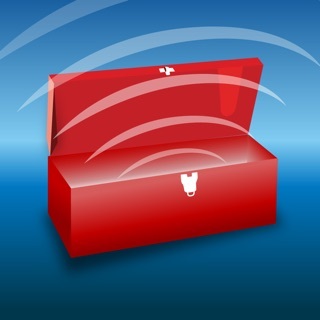 This application is designed for WLAN and IT professionals. 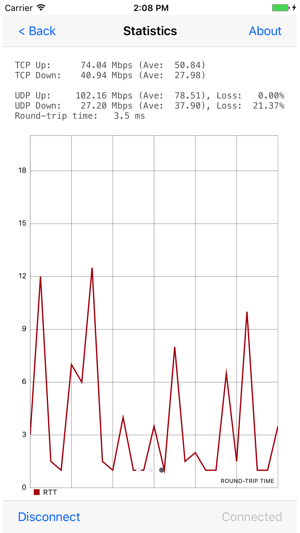 I use this for all my customer sites to show Laptop to AP throughput. It’s great.